What Manfred von Richthofen was to Germany, Albert Ball was to Great Britain: each, at the time, was the star turn of his country and Richthofen would describe Ball as 'by far the best English flying man'. When Ball was killed in May 1917, during a dogfight with Richthofen's Jasta 11, his body was buried with full military honours, and when the death was announced it was international news. 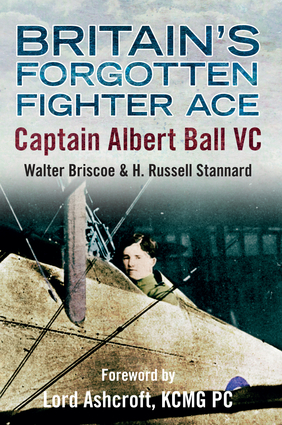 This seminal biography of Ball was first released after his death and features tributes by then Prime Minister David Lloyd George, Field Marshal Haig and Major General Sir Hugh Trenchard, founder of the RAF. It tells the story of this boy, barely twenty at the height of his fame, who scored forty-four confirmed kills yet was able to treat war in the air as a sport.